New York employers and their shareholders will start facing substantially increased liability for wage and hour violations in January now that the state has again amended its Business Corporation Law. The latest change allows plaintiffs in wage and hour cases to hold the ten largest shareholders of privately-held, non-New York (foreign) corporations liable for unpaid wages by corporations. Wage and hour claimants already could seek recovery from top shareholders in companies who incorporate in New York. The amendment marks the second major expansion of liability to corporate owners by New York Governor Andrew Cuomo. For years, Section 630 of the Business Corporation Law in New York has contained a provision that allowed employees making wage claims to hold the ten largest shareholders of a company jointly and severally liable for unpaid wages. However, the law has traditionally had little impact since it applied only to corporations incorporated in New York, did not apply to publicly-traded corporations, and had a short 180-day post-termination limitations period for employees to notify shareholders of their potential liability for unpaid wages. However, But Governor Cuomo has taken steps over the last couple of years to expand the reach of this law. Last December, the state enacted an amendment to its “Wage Theft” Prevention Act and its application to limited liability companies. The amendments to Section 609 of the New York Limited Liability Company Law provided that the 10 members with the largest percentage ownership interest in a limited liability company (LLC) were jointly and severally liable for all debts, wages or salaries due and owing to the LLC’s employees for their services to the LLC. The amendment mirrored the Business Corporation Law’s provisions, meaning that employees could seek recovery from domestic companies’ owners whether the companies were organized as corporations or LLCS. Under both the corporate and LLC versions of the statutes, the term “wages and salaries” are defined broadly to include salaries, overtime, vacation, holiday, severance pay, pension/retirement contributions, and any other remuneration due for services that the employee rendered. The laws both also provide for liquidated damages, penalties, interest, and attorneys’ fees and costs incurred in successfully pursuing such claims. 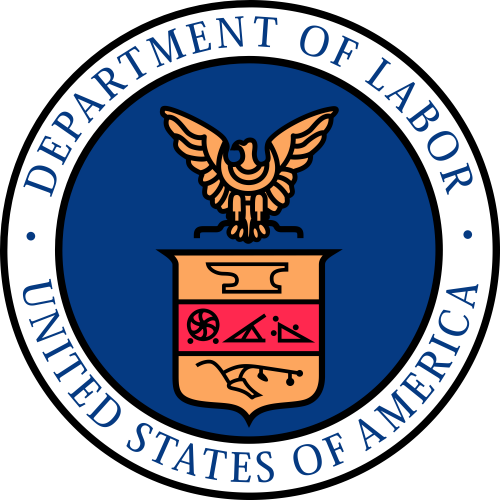 The LLC version contains the same requirement that a former employee first notify the LLC member(s) in writing of his or her intention to make a claim within 180 days of the employee’s termination. Because shareholders or members are jointly and severally liable, the laws would potentially require them to pay more than their pro rata shares of wages or salaries due to the employee and seek contribution separately from other shareholders or members. The latest amendment, Assembly Bill 737, expands liability even further. It further amends the Business Corporation Law to remove the domestic incorporation limitation, meaning that employees who perform services in New York may seek payment of unpaid wages from the ten largest shareholders of corporations wherever those corporations are incorporated. As of yet, the legislature has not made a similar amendment to reel in members of foreign LLCs, though. Though little consolation to businesses with New York employees, as explained years ago in the Fordham Law Review, the state’s predilection toward personal liability for a company’s largest shareholders dates to the 19th century. This new amendment passed both the Assembly and Senate unanimously. In his signing statement, Governor Cuomo recognized that the bill as passed “contains numerous technical flaws, one of which would render the statute constitutionally infirm,” without explaining further. However, the governor agreed to sign it because “the Legislature has agreed to pass legislation in the upcoming session to correct these defects.” The amendment takes effect on January 19, 2016. Section 6.22 of the Model Business Corporation Act, which reflects the generally accepted approach, provides that a shareholder is not liable for the debts of the corporation except to the extent that the shareholder becomes personally liable by reason of the shareholder’s own conduct. New York remains the primary outlier among states in imposing liability on shareholders of corporations and members of LLCs, and this amendment moves the state further away from the mainstream view. The state Assembly believes that the change will “encourage more corporations to be formed in New York” rather than out of state, though it just as logically could encourage a further exodus of New York employers to surrounding states in the New York City metropolitan area. Importantly, neither the Business Corporation Law nor its LLC counterpart distinguish among the ten largest shareholders or members in any way other than their percentage of ownership. Regardless of culpability, active or passive involvement, or even awareness of the events that resulted in the alleged wage claims, these owners can now be held individually liable for an entire wage claim. The latest amendment, and the likelihood that New York will eventually amend its LLC Law similarly, make it even more critically important that employers (and their shareholders) with New York-based employees regularly audit wage and hour practices and adopt robust compliance measures.